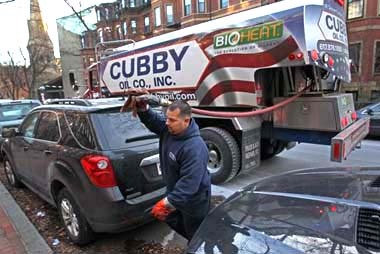 At Cubby Oil & Energy, we make thousands of heating oil deliveries every year to satisfied customers throughout the Greater Boston area. With convenient options like automatic heating oil delivery, price protection, monthly payment plans and service plan programs, we make it easy to keep your home or business warm through our long New England winters. With more than 70 years of serving our customers, we understand what you want—dependable, responsive service and easy heating oil deliveries at a fair price. That’s what you’ll get from Cubby Oil & Energy—one of the leading heating oil suppliers in eastern Massachusetts. We’ve been at this a long time and our team can show you how to take full advantage of oil heat’s versatility. Oil heat is cleaner, greener and more economical than ever. The latest heating systems are small, smart and super-efficient and can save you as much as 30% on your annual heating costs. We have many different equipment options to fit your budget and our experienced technicians are experts at all types and models of oil heating equipment. Learn more. The new American oil revolution is now a reality. Domestic oil production recently reached its highest point since the 1970s. As a result, most experts expect oil prices to stay lower for the foreseeable future. Based on current prices, heating oil is less expensive than natural gas when you apply an apples-to-apples comparison—a gallon of heating oil generates 40% more Btu’s of heat than an equivalent amount of natural gas. What’s more, gas utilities impose a surcharge on their customers that adds to the cost of heating a home with gas. They also charge customers for lost gas! Read more about heating oil vs. natural gas. We promise to take care of it and make your life easier with dependable and responsive service. If we’re not doing that, please let us know and we will make things right.